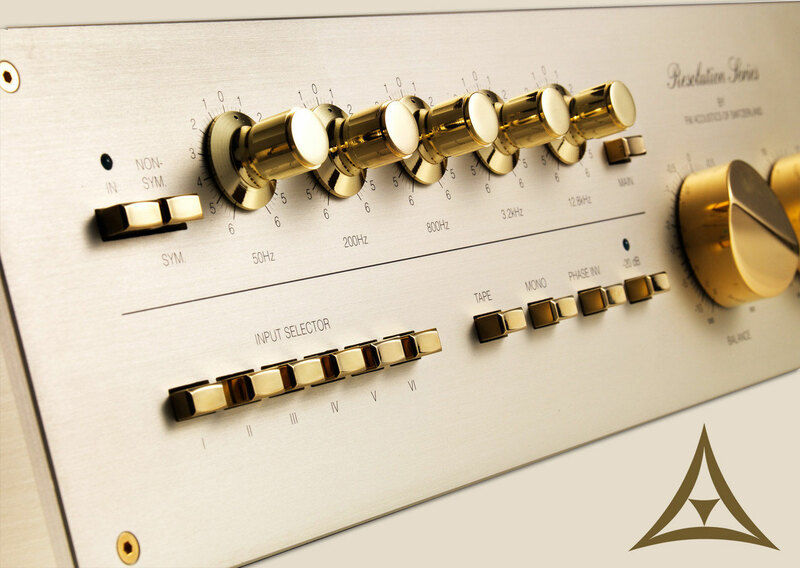 For 10 years the FM 268 has been the ultimate dream for dedicated music aficionados. Now, FM ACOUSTICS is able to introduce the FM 268C. Incorporating FM ACOUSTICS' singular Harmonic Linearizer. Proprietary enhanced Class A circuitry. CMRR of 100 dB (= 100-1000 times better than other so-called "balanced" equipment). Single ended and pseudo-balanced signals are automatically balanced right at the inputs. Tremendous headroom and reserves in input signal handling capability (+21 dBv!). All input and output impedances are identical and perfectly linear over full frequency range. Sensors in the truly balanced outputs automatically optimize performance for balanced or single ended loads. Fully discrete circuitry using special curve-tracer analyzed and listening-selected semiconductors. Outputs drive any load and long cables with perfect stability. No more matching problems between electronics and cables. No stepped, relay type or inferior sounding digital or optical volume control. Internal transformer utilizes a special dual shield that prevents stray fields. Built-in extremely low impedance power supply. Multiple stabilization and protection from mains voltage variations. Hand-selected and individually matched components of DIN, IEC & MIL standard. Modular concept, guaranteeing that the FM 268C does not become obsolete. The ARC minimizes room modes and other resonances. Room modes occur when parallel surfaces create one or more pronounced resonance peaks that are superimposed on the actual music resulting in boominess and poor low frequency definition. The ARC is also helpful when there are resonances from other sources in the room (e.g. air conditioning or any other resonating surface or room component). The set up of the ARC circuits requires knowledge and test equipment. Our official distributors will therefore perform this service at no charge for our clients.